A new yacht hull is a complicated and expensive item to put into production, but Jeanneau keeps producing them – perhaps that is why they are by far the world’s biggest builder of yachts. Their latest is the Sun Odyssey 41DS. 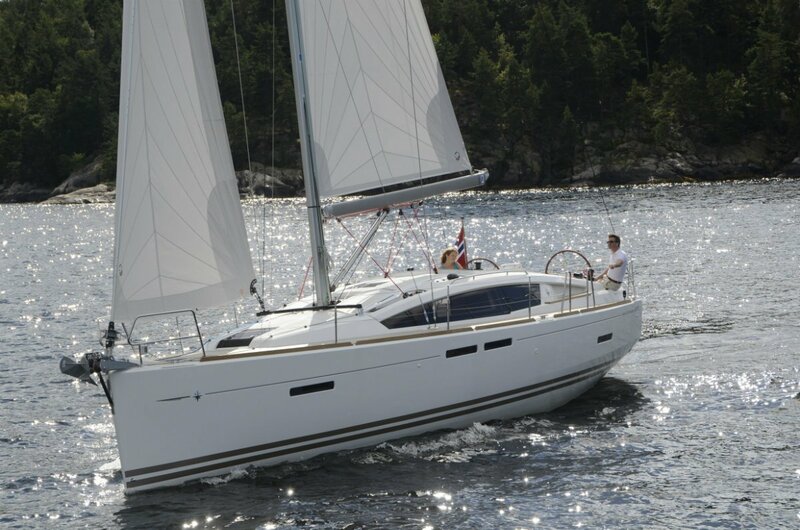 The Sun Odyssey sub brand contains Jeanneau’s cruiser racers, and a very successful line they have been. Handicap success is all very well but you still want a boat that performs satisfyingly outright, which is what the Sun Odysseys do. With a hull length of a whisker under 12 metres the 41DS is right there in the currently popular size range. It could weekend at Rottnest with two families on board, cruise extensively with one, and hold all your friends for twilighting. Or carry a full racing crew for the offshore calendar. 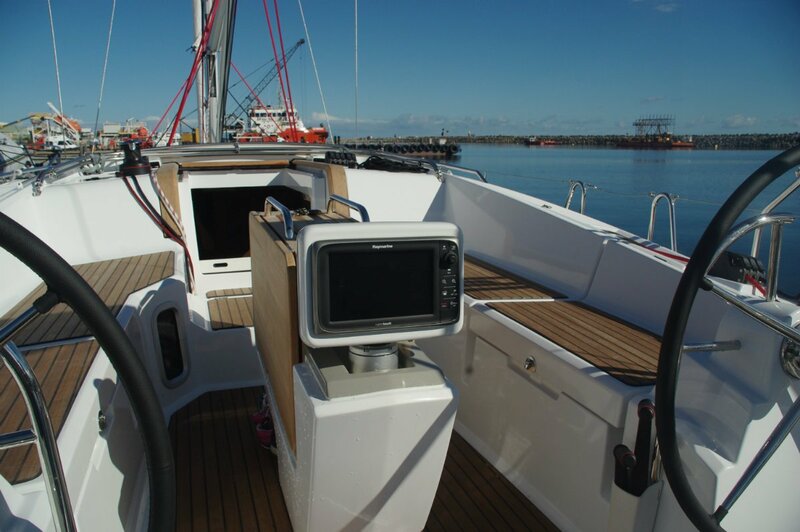 For those more interested in the cruising role a shoal draught keel of 1.55m is available, but most WA cruising destinations can handle the standard 2.10m. 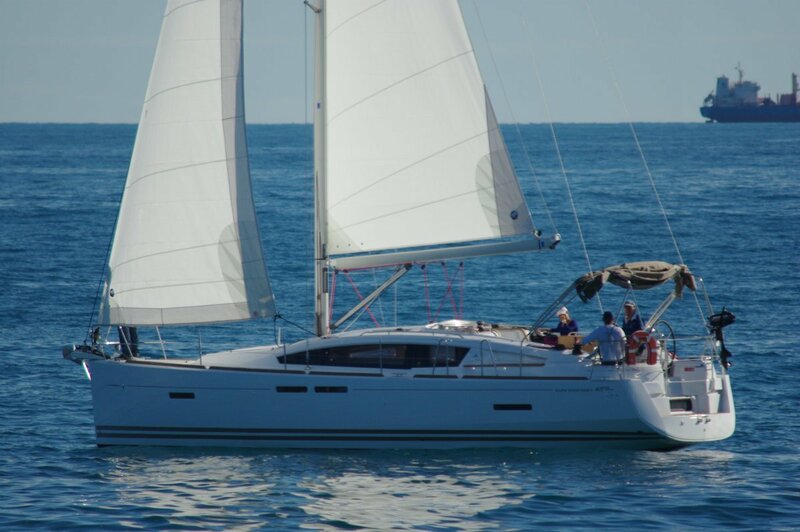 Sail plans too can adapt to cruising or racing emphasis. 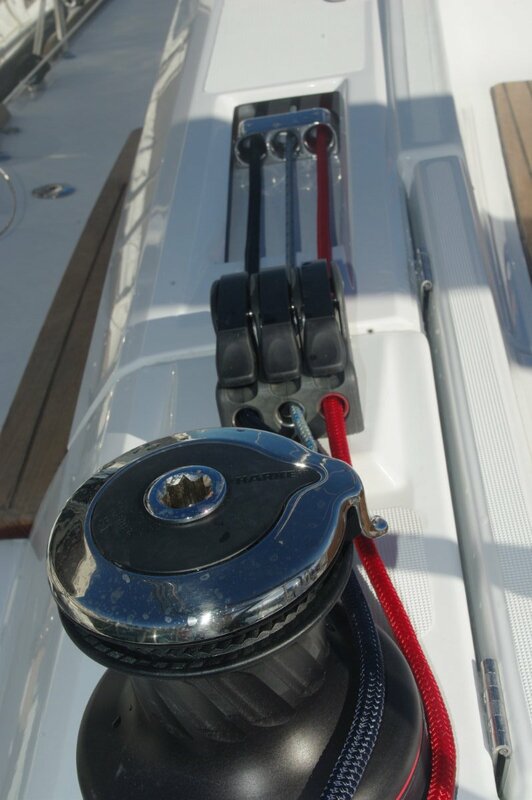 The standard rig with a 106 percent furling headsail can be replaced by performance sails, or it can have a smaller self-tacking jib. The latter would be ideal for a short or single hander in a boat that is already well set up for low labour loads. The deck is a dream to work. Timber sheathed it has decent width, gentle camber and it is exceptionally clear; chain plates are well inboard at the edge of the coach roof. On the other hand there are not a lot of occasions for getting up there. Setting and dropping the main and anchoring pretty much sum it up. All key lines lead back to the helm position. The cockpit is a model of what cruiser racers’ cockpits should be. 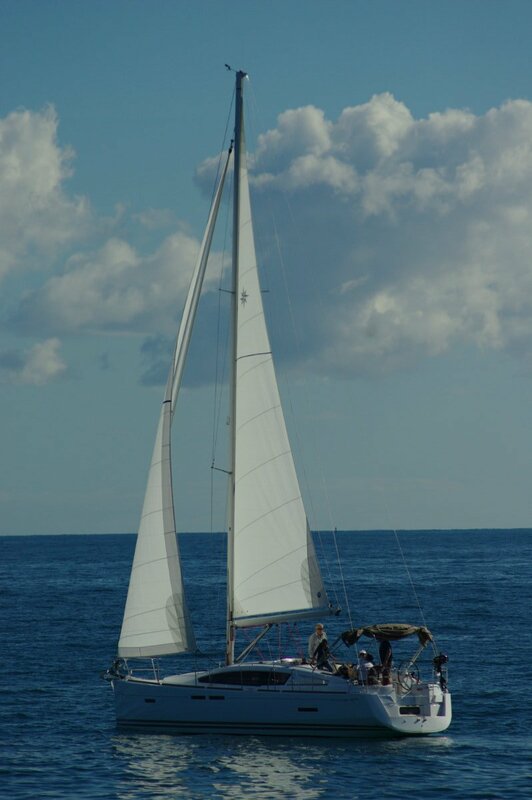 Capable of holding a lot of people, very comfortable for smaller numbers, and everything to do with sail and boat control around the edge; nothing intrudes. The twin helms have repeater electronics from the main display at the rear of the cockpit table-console; engine controls are also repeated. It is a first class social space. The folding table houses an icebox and is big enough to turn the cockpit into an al fresco dining room. For WA conditions there is a lot to be said for adding a Bimini (it will stop the cucumber sandwiches curling up), but otherwise this is about as good as it gets. Swimmers’ access to the water is good too. Below continues the trend of cruisers: for a given internal volume the apparent space keeps growing. Part of this is due to the quantities of natural light in what typically used to be a gloomy cavern, part to an excellent choice of lining materials, and a big part to plain good design. 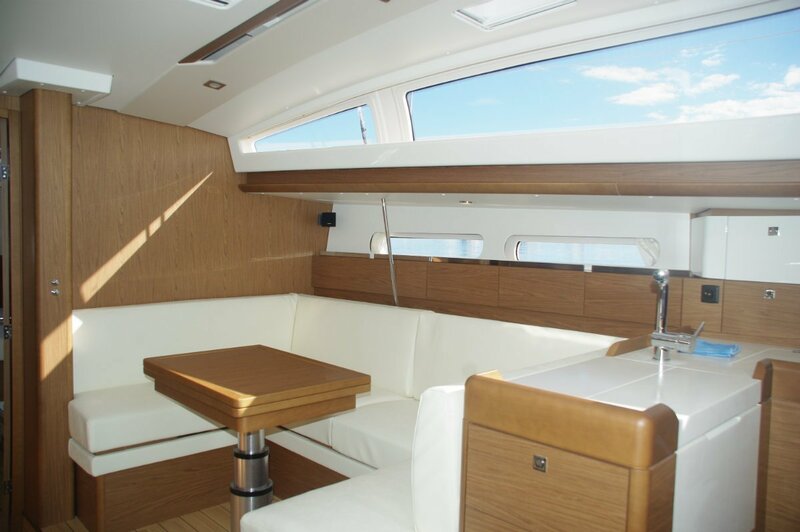 The companionway itself is an example of good choice of materials: light but substantial. The galley perhaps speaks most clearly that this is a French built vessel – you could build a five star meal in this set-up. As well as the preparation and cooking processes, washing up and dry and cold storage are well catered for; there is even a special drawer for bottles. The deck, mercifully, is timber. The thought of an intricate French sauce on carpet is unbearable. The eating side of things is handled by a magnificent dinette that electrically converts to an equally grand double bed or to a coffee table. On the opposite side a settee that is also the navigator’s seat has a third role as an auxiliary bunk. 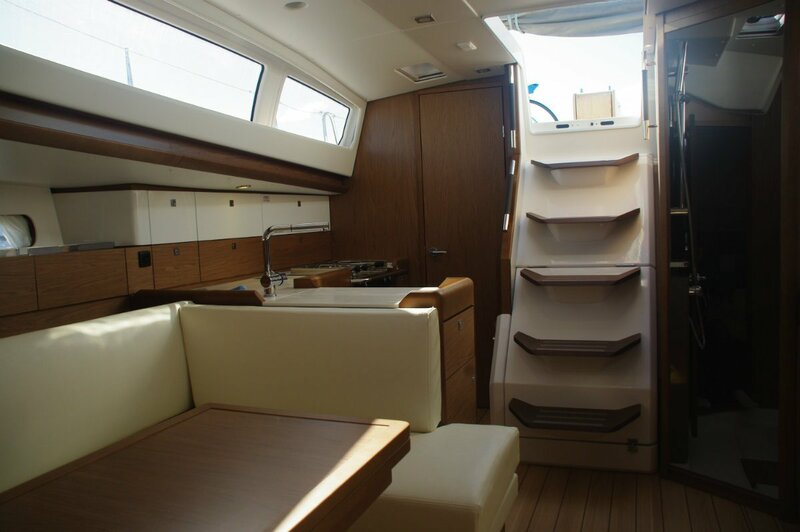 Another fitting, rare in a yacht is a roomy bar cupboard. There is a sleeping cabin at each end, the forward one is large, the aft enormous. Both have en suite bathrooms on the same epic scale. The 41DS is a shining example of how modern cruisers put to shame the accommodation of power boats of similar size – at a fraction of the price. With the self furling sails and simple running rigging, a family with no sailing background could quickly learn to sail this vessel. And with optional 360 Docking manoeuvring becomes simple. The 40hp Yanmar with saildrive has a joystick that controls all movements, even sideways.